This season's flu epidemic, which so far has accounted for more than 1,800 hospitalizations in metro Atlanta and 79 deaths in Georgia alone, has brought record numbers of patients into emergency departments. Grady Hospital, with Atlanta's busiest ED, has seen a 25% increase a day in patients with flu-like symptoms. "We'll take care of anyone who shows up at our door—that's what we do, that's what we're committed to," says Hany Atallah, chief of emergency medicine at Grady. The leadership team of Atallah, assistant medical directors Brooks Moore and Matthew Wheatley, and chief nurse practitioner Tryphena Pacitti, have taken extraordinary measures to make sure patient needs are met. In addition to adding several "surge shifts" for doctors and nurses during peak hours and repurposing spaces within the hospital to accommodate beds for the influx of patients, Grady rented a specialized trailer called the Carolinas MED-1, which has served as an extension of Grady's emergency department. The tractor-trailer sized unit has 14 patient bays separated by curtains, as well as medical equipment and a nurses' station. It opened January 30 at 8:30 a.m., with 83 patients passing through its doors the first day. "You wouldn't think that a mere 14 beds would make a significant impact," says Pacitti. "But it allowed us to get patients through the emergency department much more quickly." The mobile unit costs the hospital about $200,000 for a 30-day rental, not including supplies. "It is expensive, but if you ask me, it's worth every penny," says Atallah. The team also restricted hospital visitation to those 15 and older, distributed hand sanitizer throughout the hospital, administered the flu vaccine to appropriate patients, and offered masks to both patients and doctors. Despite a recently completed $78-million renovation of Grady's emergency department, demand for health care continues to push limits. "We averaged 403 patients a day last year. That's a 10% increase over the year before," says Atallah. This year, Grady is averaging closer to 450 patients a day and has had two days with more than 500 patients in a 24-hour period. "The rate of increase is accelerating," says Atallah. "In a way, we've already outgrown our emergency department." As the flu epidemic continues, the emergency medicine staff keeps working long hours to take care of patients in need. The mobile ED will be open 24/7 as long as it remains at Grady. "We will review patient volumes and patient care needs and determine if we will extend the lease beyond 30 days," says Denise Simpson, media relations manager at Grady Health System. Applications are now being accepted for one of 25 positions in a new 18-month fellowship program designed to help health science educators study their teaching, mentoring, leadership, or curriculum development efforts and disseminate their findings to other educators. 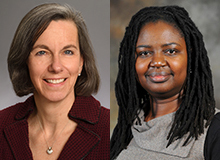 "The fellowship in educational scholarship is not about how to teach per se but how to analyze what works best in teaching and how to present and publish findings from this research," says pediatrician Linda Orkin Lewin, who is directing the fellowship along with education researcher Ulemu Luhanga. The fellowship begins with a kickoff event on September 12. This event, held in conjunction with a symposium focused on interprofessional education, will be open to all educators in the health sciences—not just those in the fellowship program, says Lewin. This will be followed by six once-a-month Wednesday-afternoon workshops led by national experts, from October 2018 through March 2019. Each participant then will conduct a mentored research project in their educational setting, meeting monthly in project groups over 12 months, with graduation and poster presentations slated for March 2020. On completion of the fellowship, participants will receive Medical Education Research Certification from the Association of American Medical Colleges. The application deadline for this fellowship is April 1, says Lewin, and applicants will be notified of acceptance by April 15. "An online live-chat info session will be held at 5:00 p.m. on March 6 for those who would like to learn more about the program," says Lewin, whose own scholarship and publications have focused on teaching. 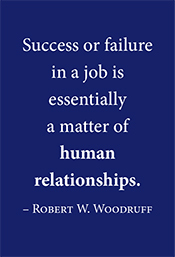 The fellowship in educational scholarship is the signature program of the Woodruff Health Educators Academy (WHEA), created in the past year to bring educators together across the health sciences center to promote and support the practice and scholarship of teaching and learning. The WHEA is led by an inter-professional Steering Committee—educators in nursing, public health, medicine (including the Physician Assistant, Physical Therapy, and Anesthesiologist Assistant programs), and the university's Center for Faculty Development and Excellence. They come from varied backgrounds, but they all share a focus on preparing the next generation of health professionals. Nursing faculty member Elizabeth Downes, for example, is passionate about this mission. When she worked for the World Health Organization prior to coming to Emory, she developed an NP training program for small island nations that is still going strong after 18 years, educating numerous providers for many countries. That program has had a far greater impact, she says, "than I would have had simply providing patient care." Downes says the WHEA gives teaching in the health sciences some long-due structure and foundation. "We need to strengthen and promote the excellent work being done here around education," she says. "We do a lot that remains invisible because we don't measure and showcase what we're doing. Teaching needs the same kind of status, evidence base, and promotion track as our other missions." WHEA Steering Committee member Jodie Guest, a professor in both public health and medicine (PA program) and a Rollins MPH and PhD alumna in epidemiology, has similar hopes for the new fellowship and the WHEA in general. Like Downes, she has considerable experience in educating health professionals, having taught in some capacity ever since she graduated and having received numerous teaching awards at Emory. She left her role as director of HIV research at the Atlanta VA Medical Center three years ago to join the faculty here full-time because she wanted to spend more time with students. "Currently, faculty receive more recognition for their work in research and clinical care than in teaching, but Emory is a training facility," she says. "Emory is a top-notch training site, but we need a more substantial path for teaching to be rewarded, acknowledged, and supported." She believes the WHEA is supplying a missing link, a way to give faculty the tools they need to do educational research—like determining how students learn best, whether or when a "flipped classroom" works better than a traditional one, or how to compare outcomes from face-to-face versus online learning. WHEA steering committee member Katie Monroe, who directs the Anesthesiologist Assistant Program, says she would have loved such a program early in her career before she went back to school to get a PhD in educational leadership. "Many clinical educators have an exceptional fund of knowledge and a strong clinical skill set but may have had little to no formal training in teaching. This new fellowship offers a wonderful opportunity not only to collaborate with other educators across the health sciences but also to share their work in a scholarly way." In addition to the new fellowship, the WHEA offers quarterly lunchtime "teaching hacks," involving educators from each of the three schools and providing tips on best teaching practices. Additional programs for educators will be forthcoming as the WHEA continues to develop, says Luhanga. It's similar to the "precogs" who predict crime in the movie Minority Report. That's how Tim Buchman, director of the Emory Critical Care Center, describes an emerging effort to detect and ward off sepsis in ICU patients hours before it starts to make their vital signs go haywire. As landmark clinical studies have documented, every hour of delay in giving someone with sepsis antibiotics increases their risk of mortality. So detecting sepsis as early as possible could save lives. 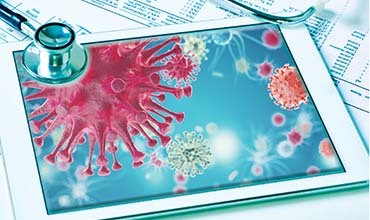 Many hospitals have developed "sniffer" systemsthat monitor patients for sepsis risk. See a 2016 feature in Emory Medicine for more details. What Shamim Nemati and his colleagues, including bioinformatics chair Gari Clifford, have been exploring is more sophisticated. 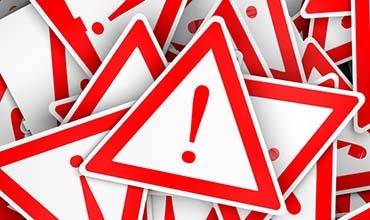 A vastly simplified way to summarize it is: if someone has a disorderly heart rate and blood pressure, those changes can be an early indicator of sepsis. It requires continuous monitoring—not just once an hour. But in the ICU, this can be done. The algorithm uses 65 indicators, such as respiration, temperature, and oxygen levels—not only heart rate and blood pressure. As recently published in Critical Care Medicine, Nemati’s algorithm can predict sepsis onset—with some false alarms—four, eight, even 12 hours ahead of time. No predictor is going to be perfect, Nemati says. The paper lays out specificity, sensitivity, and accuracy under various timelines. They get to an AUROC (area under receiving operating characteristic) performance of 0.83 to 0.85, which this explainer website rates as good (B), and is better than any other previous sepsis predictor. "To our knowledge, this is the first study to demonstrate acceptable performance of a sepsis prediction algorithm over incrementally longer time windows," the authors write. Emory Healthcare nephrologists are piloting two initiatives to improve the lives of dialysis patients across Georgia. 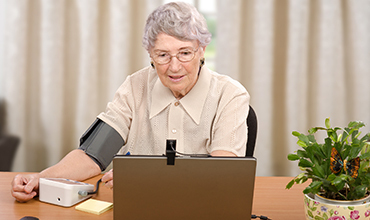 They recently launched a telemedicine program to provide acute renal consults for hospitals in rural Georgia, including Taylor Regional Hospital (Hawkinsville) and Memorial Hospital and Manor (Bainbridge). These consults are designed to care for patients with kidney disease in rural hospitals that do not have on-site nephrologists or in-house dialysis services. Prior to this initiative, patients in rural hospitals who needed dialysis or renal specialty care would have to be transferred to other hospitals. Sanderling Renal Services (SRS) provides telemedicine services in each of these hospitals, and Emory provides physician oversight and primary nephrology services via telemedicine in these hospitals. Emory clinicians and researchers are able to track rural health populations using SRS analytics. 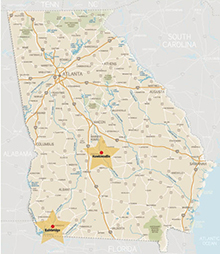 SRS also provides acute dialysis services to the rural hospitals under the guidance of Emory Nephrology. 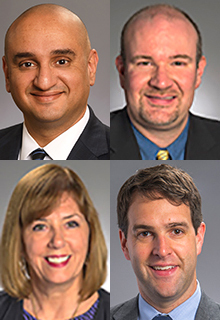 Participating Emory nephrologists include Janice Lea, Jason Cobb, Anees Quyyumi, Tahsin Masud, James Someren, and Jose Navarrete. "Emory Nephrology has never offered this service before, but we have very high expectations," says Lea, medical director of the program. "If the pilot goes as well as we think it will, we plan to expand the telenephrology program to include more Emory faculty and additional locations." Emory Nephrology has also recently partnered with Emory Cardiology to provide echocardiograms to patients undergoing dialysis. This partnership will help outpatient Emory dialysis clinics screen for cardiovascular disease in this high-risk population and make treatment more convenient for patients. Knowledge of heart disease in dialysis patients will also lead to better dialysis care. Every dialysis patient is recommended to have an echo within three months of starting treatment and then again at three-year intervals. Renal transplant and diabetic patients, as well as non-diabetic patients at high risk for heart disease, should be screened more frequently. The virulence of this year's flu season has put many local hospitals in the news lately—and none more so than Atlanta's own safety net hospital Grady. The physicians and medical staff at Grady are mounting a heroic and herculean effort to combat and contain the flu and to make sure all Atlantans receive top-notch care if they contract it. What many people watching these news stories may not realize is that almost all of the physicians providing world-class care at Grady are Emory and Morehouse physicians. 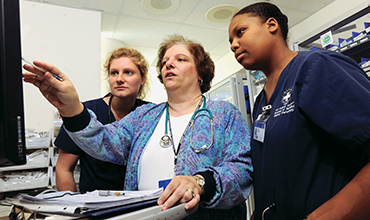 In fact, some 700 Emory medical faculty and more than 350 residents provide 80% of care at Grady and have helped to make many of its centers and services among the very best in the nation. Please join me in offering our thanks to these physicians for the extraordinary care they provide to people in need and for all that they have done to help propel Grady's outstanding local and regional success. Emory is taking part in STAT Madness, a March madness-style bracket competition in which competitors are biomedical researchers rather than basketball players. STAT, the competition sponsor, is a life sciences news site. Emory's entry is about electrical brain stimulation to enhance memory. Voting begins on Monday, February 26. Please go here to cast your vote for Emory. Read a recent op-ed on cnn.com by Claire E. Sterk, Emory president and Charles Howard Candler Professor in public health, who argues that response to the opioid epidemic would have been more effective with earlier recognition of addiction as a mental health problem. The O. Wayne Rollins Foundation has established a chair honoring cardiologist Stephen Clements, a longtime friend of the Rollins family. The Stephen D. Clements, Jr. Chair in Cardiovascular Disease Prevention is the ninth faculty position that the Rollins family has endowed at the Rollins School of Public Health, and it will complement the Wilton Looney Chair in Cardiovascular Disease Prevention established in 2013. Read more. The health sciences are well represented in Emory's new annual report, which details Emory's impact in seven key areas: Creating Knowledge, Educating the Next Generation, Caring and Healing, Transforming Society, Global Impact, Emory in Atlanta, and University Milestones. 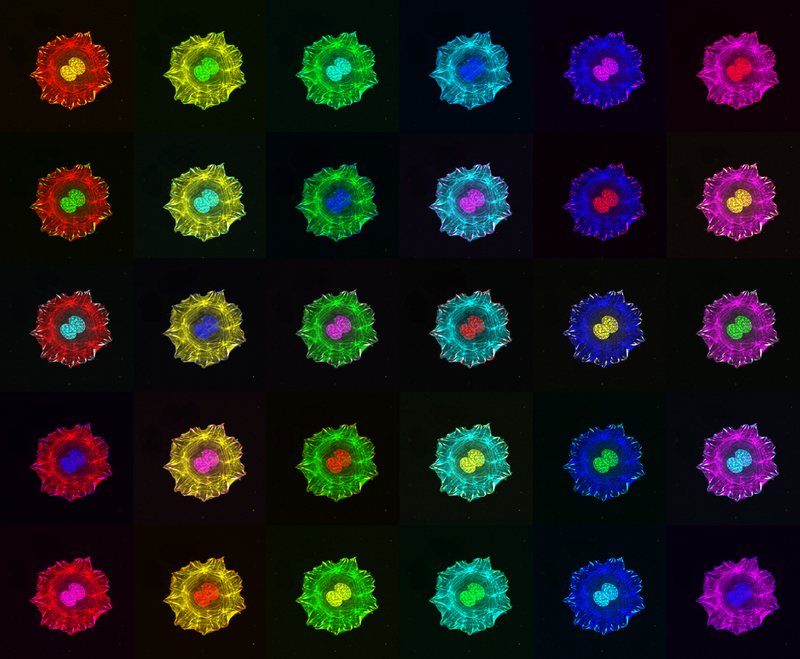 Image by Alejandra Valdivia from Emory's Cellular Imaging Core. View larger. Read explanation. Research leaders from the eight universities in the Georgia Research Alliance have signed a memorandum of understanding for the shared use of core research facilities at each of their institutions. The agreement means identified core facilities and equipment will be available to scientists at all eight institutions at the same rates and terms offered to internal facility users. Read more. Earlier this month, heart recipients and patients waiting for transplant joined friends, family, and Emory staff members for Emory's 28th Heart to Heart Celebration. Attendees included Harry Wuest, who received his heart 33 years ago, and 44-year-old Bernard McGrady, who had received his new heart only 12 days before the event. Emory performed Georgia's first heart transplant in 1985 and since then has done more than 800. Read more. Emory Johns Creek Hospital recently opened a new two-story clinical decision unit (CDU) and radiology observation care unit (ROCU). The CDU is an emergency department observation unit located near the emergency room, serving patients who require care between six and 24 hours. The ROCU is a specialized outpatient unit for patients who requiring procedures in interventional radiology, computed tomography, MRI, or ultrasound. Read more. 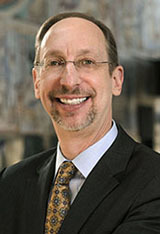 Scott Boden has been named interim chair of Orthopaedics. James Roberson, who recently stepped down from this role was honored at an event earlier this month. Immunologist Max Cooper recently received the Japan Prize for discovery of the dual nature of adaptive immunity. Melanie De Gennaro has been named VP of Human Resources for Emory University Hospital. Madhav Dhodapkar, a world-renowned expert in cancer immunology and translational immunotherapy, joins Winship Cancer Institute on March 1, as director of the new Winship Center for Cancer Immunology. Read more. Dabney Evans (global health) received the 2018 Early Career Public Health Teaching Award from the Association of Schools and Programs of Public Health. Read more. The Georgia Clinical & Translational Science Alliance received the Deal of the Year Award from Georgia Bio. Read more. Eric Hunter (pathology) is the 2018 Dean's Distinguished Faculty Lecture and Award recipient in the medical school. The lecture and award ceremony starts at 5:30 on April 4 in the SOM building. Andrew Miller (psychiatry) and Muralidhar Padala(cardiothoracic surgery) received the 2018 Albert E. Levy Award in the Senior and Junior Faculty divisions, respectively. The award is given annually by the University Research Committee in the Emory Office of the Provost. Read more about the awards to Miller and Padala. 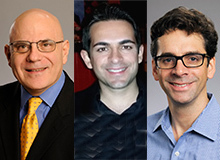 March 6: Leveraging Technology in Health Care Information. 4th Annual HIP Symposium, 12-2 pm, RSPH CNR 1000. More info. March 13: Georgia CTSA Speed Networking, Topic: Opioid epidemic. 5-7:30 pm, SOM lobby. More info (registration deadline extended). March 15: 12th Annual Celebration of Technology & Innovation. 5-8 pm, Emory Conference Center Silver Bell Pavilion. Email Efrem Hill for more info. March 24: Emory Saint Joseph's Hospital Run for Mercy 5K. 8 am, Perimeter Mall, Dillard's. More info. May 9: 5th Annual Health Services Research Day. 8-3, SOM 110. More info. June 8: 2018 Southeastern Pediatric Research Conference: Precision Medicine. 8-5, Georgia Aquarium. More info.